Tides fluctuate, the earth orbits the sun and people age—those things we know for sure and short of a catastrophic shift or discovery of the fountain of youth, the status quo isn’t likely to change. Then again scientific advancement turns even the most strongly held beliefs into misconceptions all the time, so perhaps aging isn’t so finite after all. The supposed inevitability of aging prompted researchers from King’s College London and the University of Birmingham in England to ask: what happens to the aging process under the “best case scenario?” In other words, what happens to the minds and bodies of older individuals when they maintain a lifestyle of exceptional fitness? The study published this week in The Journal of Physiology explores that question and the results are remarkably encouraging. For the study, researchers tested 85 men and 41 women, all between the ages of 55 and 79, and all exceptional recreational cyclists. 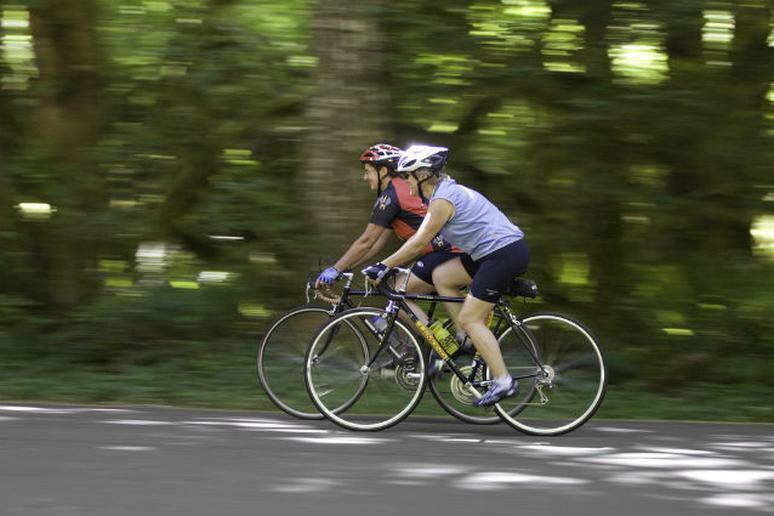 In order to qualify for the study, the male subjects had to be able to ride at least 62 miles in six and a half hours and the women, 37 miles in five and a half hours—this served as the benchmark for exceptional fitness. The subjects were then put through extensive physical and metal tests, measuring practically everything from balance and memory to bone density and muscle mass—and more. After the tests, the major conclusion was that the fit 50-to-70-something subjects all had similar results—but instead of scoring results consistent with other people their age, the cyclists displayed numbers that would be typically associated with young adults. The exceptionally fit 55+ subjects had the physiological capabilities of someone much younger than most 55-year-olds. Even the oldest subjects in the group displayed the reflexes, balance, metabolic health and memory ability of much younger people. Aging did take its toll in some areas, researchers said, effecting muscular power and mass. Even for exceptional cyclists, age puts a dent in endurance and strength. Even so, the oldest cyclists still tested significantly better in those categories than most people their age. So, what’s the big conclusion? Researchers say this study shows being physically active helps the body and mind function more like a young person’s. Even though this study is a small sample of a very fit group, many other studies have shown the positive effects of consistent exercise on the aging process. Previous research shows benefits including, but not limited to, improved mental capacity, significantly stronger muscles and bones and a longer, healthier life for elite athletes.